The murder of 50 innocent people, and the injuring of many more by a nameless Australian man at two mosques in Christchurch has brought out the best and worst in humanity. The New Zealand Prime Minister, Jacinda Ardern, and the emergency services in Christchurch all performed magnificently showing their empathy and genuine humanity. This is quite apart from their efficiency in minimising the effects of this horrible tragedy as much as possible. Alas. the same cannot be said for the President of Turkey. Erdoğan couldn’t resist making stupid inflammatory comments to bolster up support from his radical islamist base before upcoming elections. His remarks about sending home people with anti-islamist attitudes in coffins, particularly Australians, if they visited Turkey are of the same ilk as the views of the nameless assassin of those innocent people in the mosques. What does this turkey (the president not the country) want? More violence and more terrorism? To add ignorance and absurdity to his statements he said that the Gallipoli campaign of 1915 was an attack by the Anzacs against Islam. How ludicrous! The attack on Turkey was an attempted backdoor strike against Germany, a Christian country that was allied with Turkey in the Great War. Religion had nothing whatsoever to do with it. The great Ataturk, the founder of modern Turkey, took great care to make Turkey a secular state and quickly forgave the Anzacs for their attack. After that Australia, New Zealand and Turkey became great friends. The lunatic current president of Turkey, by his extremist promotion of Islam has not only prevented his country from joining the EU but is also endangering its membership of NATO. This is not to even mention his strident steps towards creating a dictatorship, gaoling his critics at the slightest pretext. No wonder the Turkish military attempted a coup. How else could they protect the legacy of Ataturk? It is a shame that the coup didn’t succeed! 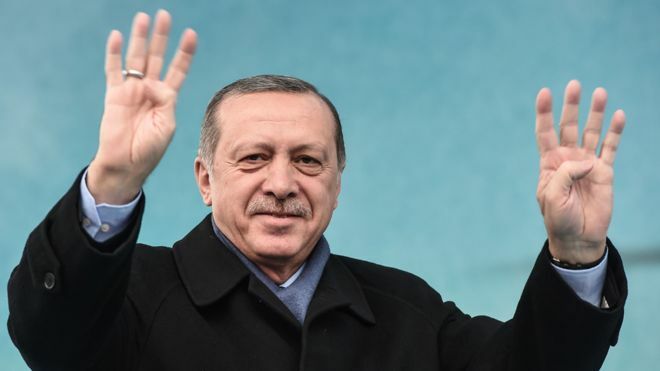 Let’s just hope that the people of Turkey will quickly wake up and see this man for what he is and how he is attempting to destroy a previously happy and successful nation.